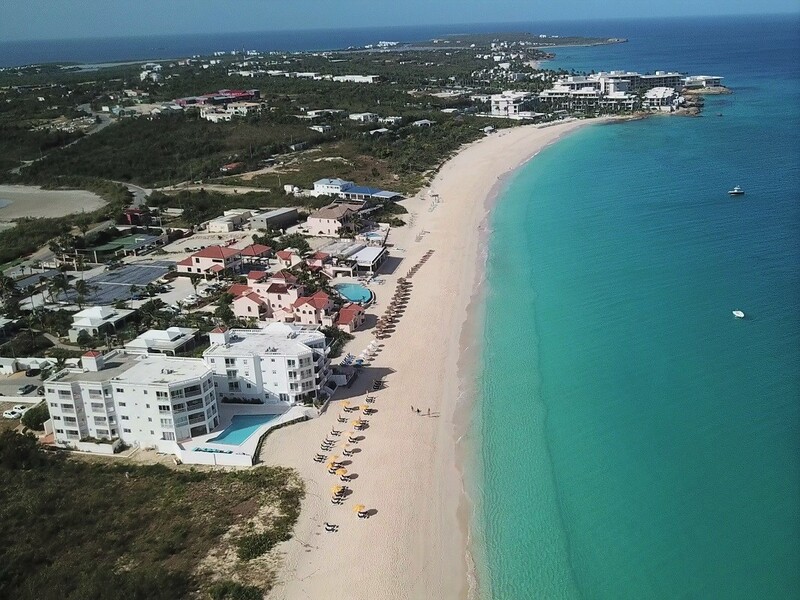 Sunday 3 March, Anguilla day 6: Drone over a couple of bays, scrubbing off barnacles, prepare the Parasailor lines, and treat the bilge shelves with insecticide. This is our last day in Anguilla. We feel sad our stay here gets to an end. 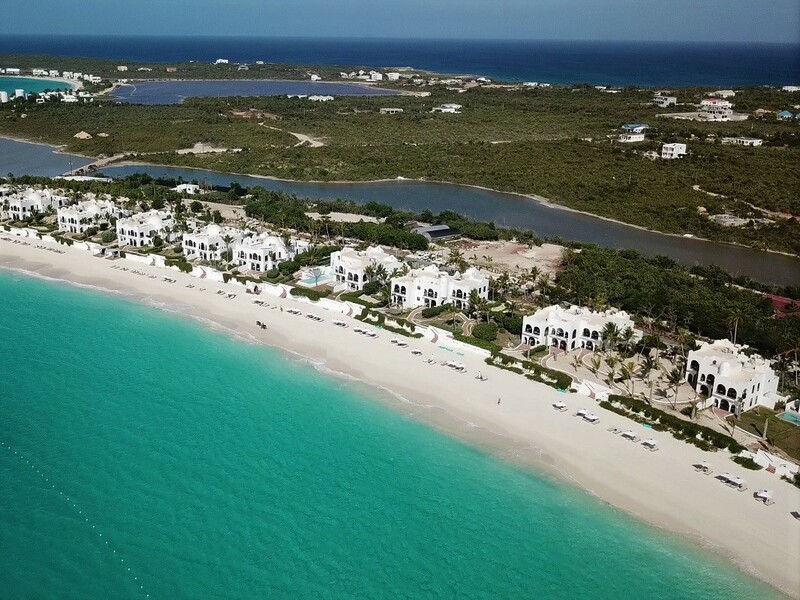 Not often we feel this way about an island, so this says a lot about how much we love Anguilla. We wake up with a short missions list for the morning. 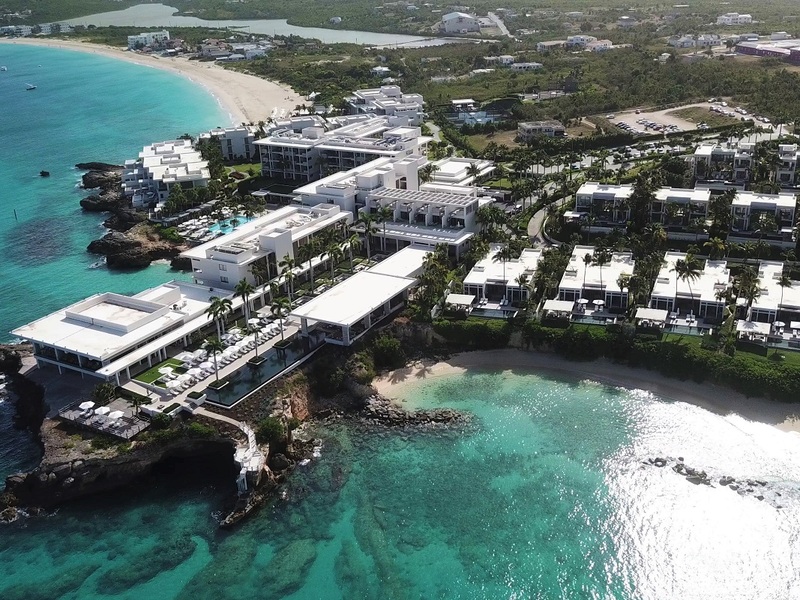 Quick breakfast then head ashore for a drive to the Four Seasons and Cap Juluca to fly the drone over these bays, to have a nice recorded memory of them. We do manage to fly it despite the strong wind, fingers crossed we captured some good footage. Then at the French Bakery for yet more fresh bread and quiches. We make it back to our bay spot on for 10.00am when we need to return the hire car. It was a good little car and we didn’t have any incidents with it (for once!). Sadly, we say good bye to it. Maybe we should have kept it for another day to extend our stay… but it is done now. Then at Customs & Immigration office for check out formalities, which is a very quick procedure. We are cleared to leave for the BVIs. The rest of the day is aboard Cloudy Bay, calling family and making preparations for the sail tomorrow. It will be an 80mile passage, so we will need to leave at dawn to ensure we don’t arrive in the dark. Hopefully the wind is light enough to try our Parasailor. So out it comes onto the foredeck with all the sheets, guys, halyard and barbahauler. The deck is now covered in colourful spaghetti! Now that the sail is out from the forepeak, Glen had space for maneuver and all kiting gear gets washed, dried and stored under the v-berth. Before lunch Glen jumps in the water for a cool off, and while at it he goes on a mission of knocking off some of the barnacles who installed themselves on the hull. He is not exactly happy with this International Micron Extra antifoul. Maybe Extra actually means extra no good! We’ve been in the water only just over 2 months after painting it and the barnacles are already gripping like crazy. Previously we have used Hemple ablative antifoul and there was no sign of barnacles for at least 5 months. Even when we left Cloudy Bay in Lanzarote marina for the winter there was still no growth on it. So now Glen is on a mission to find a better antifoul available in the USA. Sadly, Hempel is not distributed there. He heard of a silicone based antifoul so he will be doing some research on that type. While in the water he also cleans the inside of the drains, first with a plastic tube to knock off the barnacles and then with a long thin brush which in the past did a great job at cleaning all the sink and shower drains. Same as before any departure, preparations kept Glen busy all afternoon. He has been on the deck with all sorts of tasks including rigging the pole. Hope no one runs into it tonight as it sticks out beyond our beam by several meters! Meanwhile I have been inside cooking the lunch for tomorrow. I don’t fancy cooking while we will be rolling downwind. In the evening it’s time to go under the floorboards. In one of the hardware stores here in Anguilla we found a wood preservative to treat the bilge shelves against any parasites. Ever since Glen cut out and installed these new storage shelves inside the bilge in St. Martin he has been meaning to treat them but didn’t have the right stuff. This is the first time I’ve seen the storage he created down there. It certainly manages to house quite a bit of stuff: 15 gallons of engine oil, borecol, 4 five gallon diesel jerry cans (empty as of now), some spare cockpit drain hose and a bunch of teak that had been cluttering the aft deck lockers. Nice to get all this weigh mid-ships, low down and out of sight. After some coughing and sneezing from inhaling the insecticide spray, the job is done and all the gear is repacked in there. But not before he manages to step on one of the water tank inspection hatches (sharp corn of) and slice open his big toe. Oooph, nurse Oana to the rescue and clean up again! The rest of the evening he hobbled around with a huge mound of bandage around his toe. It’s really surprising that his whole body is not just one large piece of scar tissue! We head to bed for an early night before he does any more damage. Even so, we will get barely 5 hours before the alarm goes at 4:45am.